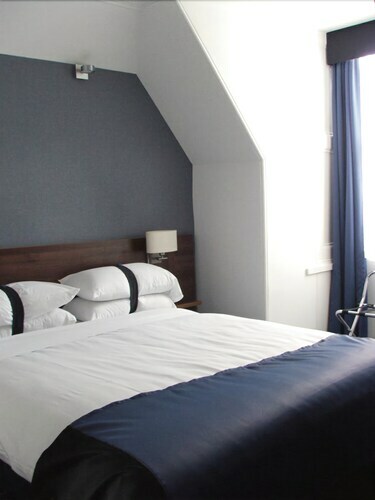 Our customers tell us they enjoy the quiet rooms at Piries Hotel. 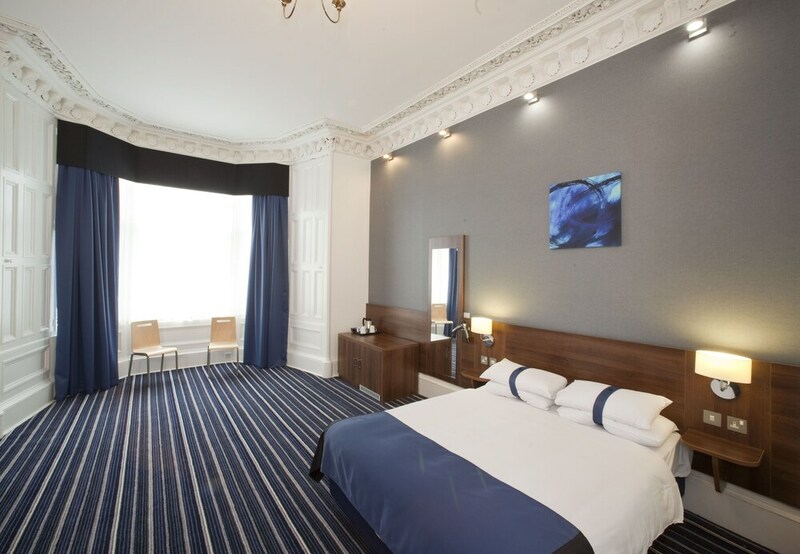 During your stay, you'll be within walking distance of Princes Street. Free WiFi in public areas, a bar and a coffee shop/café are available. This 3-star hotel has 43 rooms over 4 floors. 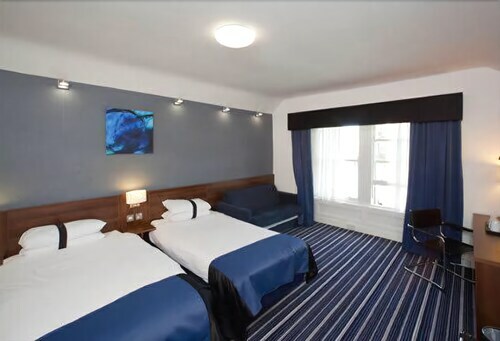 Free WiFi and LCD TVs are available in all rooms. Stayed with friends for the weekend in apartment 2a and had a lovely time. Apartment is great with the only downside being the dated carpets. Lovely hamper waiting on arrival which is full and ideal start to a lovely stay. Less than 10 minutes walk into centre so perfect location. Will definitely been returning in the near future. Highly recommended. Thank you. We glad to hear you enjoyed your stay with us. Nice hotel great location most staff very nice . Cons: More welcoming staff in bar in evening . 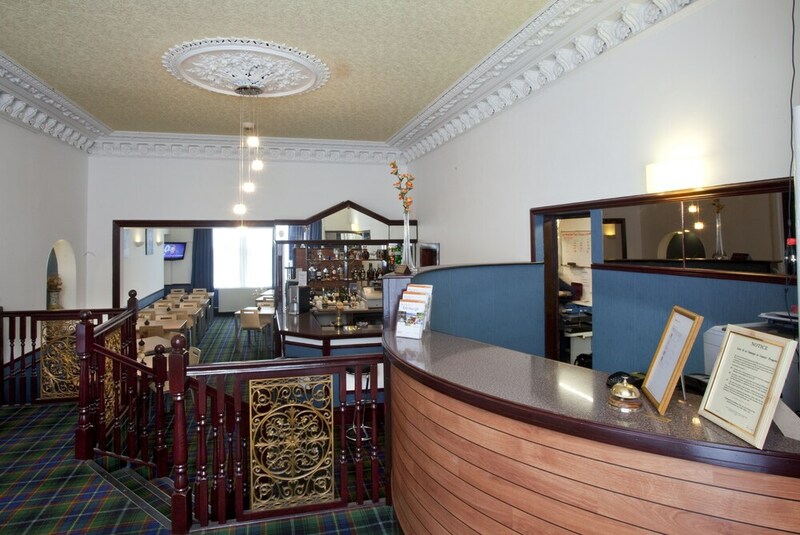 Location: Well situated for town centre trams to airport railway station to West & North of Scotland easy access to BT Murrayfield & Tynecastle Stadiums. Just stayed one night and was very good staff couldn't Have been More helpful in morning when we were looking for our phone. We will be back. Thank you for your feedback. We look forward to welcoming you back very soon. Reasonable location to get to centre of city. However that's about it. The shower is poor had to run for over a minute to get warm and it being only an electric as opposed to a power shower very poor pressure of water. The mattress was way too soft I weigh about 10.5 stone and I sank into it so definitely no good if you need a firm to hard bed. Other than that the room was adequate for the 2 nights we stayed. Thank you for the candor of your review. We will investigate the issue with the electric shower and the soft mattress. Pros: The people at reception were nice. Cons: The size of the room . For what I paid it needed more space. It's supply and demand of Edinburgh at festival time. Location: What is classed as 'nearby'? Immediately nearby there was little, a few restaurants and a train station. Not far away was Edinburgh's city centre. I only booked it, I only glimpsed it when I took their luggage downstairs to the room. It was in the basement in a tiny labyrinth of corridors. Everything seemed adequate except the size which was tiny. Not what was shown in pictures of the hotel's rooms on-line. I might recommend the hotel if the room was more spacious. Location: Kävelymatka ostoskadulle. Nähtävyydet kohtuullisen kävelymatkan päässä. Pubeja ja ravintoloita lähistöllä. Hyvät kulkuyhteydet. Kylmän sään takia takia jouduimme vaihtaan huonetta. Vaihto sujui lämpimään huoneeseen sujuvasti. Cons: Everything in this hotel could be much better. Thank you for you candid feedback. Pros: Jotain perusbrittiä: kokolattiamatot ja nuhjuisuus. Huone oli ihan siisti, mutta kylppärissä hajulukko oli pettänyt eikä suihkukaan toiminut: Suihkun säätö oli epäkunnossa ja aluksi kutsuin remonttimiehen apuun. Lopulta otin kylmiä suihkuja. Ehkäpä näistä syistä hotelli oli tarjouslistalla. Mukava ja siisti hotelli hyvien kulkuyhteyksien varrella. Lyhyet etäisyydet kävellä ja tutustua kaupunkiin. Huone ok, pehmeät sängyt, lämmitys (marraskuu) ja ilmainen Wifi toimii. Henkilökunnalle ruusuja positiivisesta ja avuliaasta asenteesta sekä hyvistä neuvoista. Das Hotel ist ca. eine Minute von der Haltestelle Haymarket entfernt, bei dieser haltet das Tram und diverse Busse, unter anderem der Direktbus zum Airport. Für zur Princess Street braucht man zu Fuss ca. 15Min. und weitere 15 Min. bis zum Edinburgh Castle, also alles ziemlich Zentral. Unser Zimmer war sauber und das Badezimmer riesig. Der einzige Nachteil ist, dass es zur Strasse raus etwas laut ist und auch die Hellhörigkeit in den Zimmern kann störend sein. Für ein paar Tage Sightseeing aber definitiv ausreichend. There's a coffee shop/café on site. You can enjoy a drink at the bar/lounge. A computer station is on site and WiFi is free in public spaces. Tour or ticket assistance, multilingual staff, and concierge services are also featured at the business-friendly Piries Hotel. 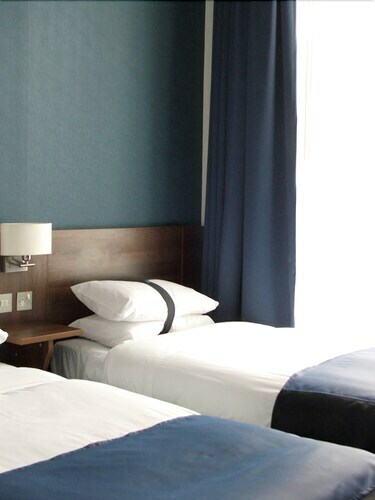 This 3-star Edinburgh hotel is smoke free. 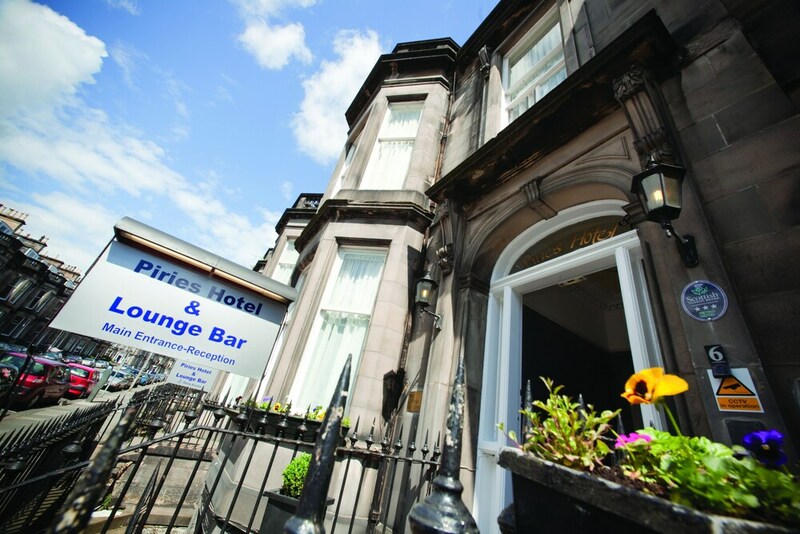 Piries Hotel offers 43 forms of accommodation with coffee/tea makers and a hairdryer. LCD televisions come with satellite channels. Bathrooms include a shower and complimentary toiletries. Guests can surf the web using complimentary wireless Internet access. Business-friendly amenities include desks and telephones. Housekeeping is offered on a daily basis and an iron/ironing board can be requested.